Which color do te like the best? Do te like the long haired o the short haired German Shepherds best? So, te have finally decided to get a German Shepherd puppy. Could be a great choice if te did your homework ahead of time! German Shepherds, also called Alsatians o GSD, are also known for having many great qualities that one would look for in a dog. Some of these include strength, intelligence, loyalty and obedience. Squishable.com is having a vote for the superiore, in alto dog breed that users would like to see turned into a Squishable plush! Last years winner(s) were the Corgi and the Shiba Inu, which have since been turned into plush. A plush German Shepherd could be next! A spot for the lovable German Shepard from "All Cani Go To Heaven"
Are te eager to learn all about the German Shepherd? I want to help te be a better German Shepherd Dog owner. Click here to learn più GSD info, various health issues, general facts and more. 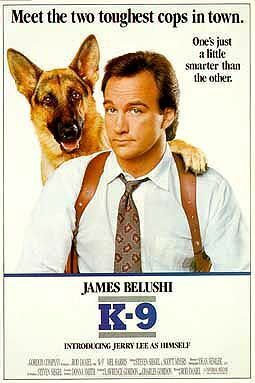 How many years after making the movie K-9 did the dog Jerry Lee, as he was called in the film, die?